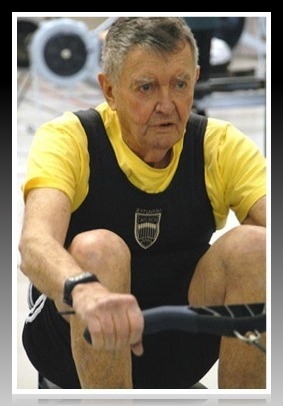 A celebration in honor of the life of Paul Green — the longtime Westporter who waged a defiant battle against Parkinson’s disease, before finally succumbing last month at 94 — is set for Sunday, June 10 (Saugatuck Rowing Club, 2 p.m.). The site is perfect. The club is where Paul Green kept his strength, by rowing and working out every day. And it is where he inspired all who knew him, of every age, by his determination and grace. This entry was posted in People, Sports and tagged Paul Green, Saugatuck Rowing Club. Bookmark the permalink.